It’s rare to find an album that is a true outlier in its field, but Abdou El Omari’s seven-track debut, released forty years ago on the Moroccan label Disques Gam, can be considered as such. A rare and intriguing record, seen fleetingly on Discogs with it’s vivid pink sleeve, atypical for an album of it’s age and origin; it immediately evokes excitement in the mind of any collector, especially given it’s price tag (well in excess of €1,000 for an original pressing). Musically, it is like nothing that was being made in Casablanca at the time. Though present are the byzantine scales of traditional Moroccan and Andalusian music, the funk-influenced grooves, gravelly bass, delay-drenched percussion and pyschedelic lead organ, separate the music entirely from traditions of the region. One can only wonder what music Abdou El Omari was hearing at the time and how it influenced his craft. Little information is currently available about the late visionary musician, escalating the lure of his recordings. 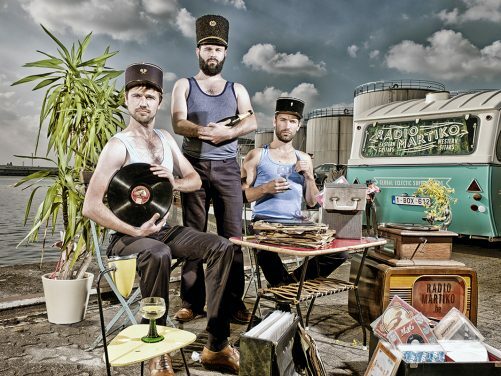 Lifelong fans of Tropical and Oriental music, Belgian DJ collective and record label Radio Martiko have made their name playing the widest range of vintage dance music imaginable, taking their unique sound beyond the clubs of Ghent, to places far flung as the communities that created the music they love. Now the trio have answered the prayers of collectors worldwide, not only restoring and re-issuing Abdou El Omari’s debut album, but gaining access to two additional projects, hitherto unknown among Abdou El Omari fans. With the album now available, we had the pleasure of talking to the Martiko’s about the origins of their work, their discovery of the Disques Gam catalogue and the fascinating process behind restoring and re-issuing vintage recordings. 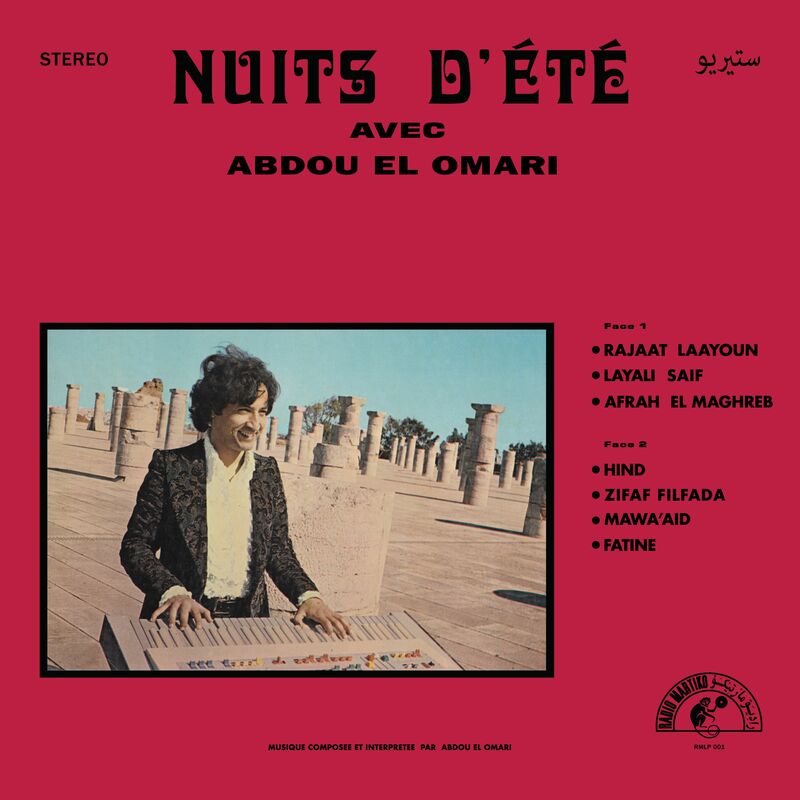 You’ve just re-issued the rare Moroccan masterpiece Nuits D’Été Avec Abdou El Omari, to the delight of record collectors worldwide! When did you first encounter the record and how would you introduce it to somebody who’s about to listen to it for the first time? We’ve been collecting Oriental music for a long time, so we got to know the album years ago. Unfortunately, we never owned an original copy. The only friend of ours who owned a copy was Edo Bouman form Bombay Connection and Vintage Voudou. We’ve noticed that more and more people are getting interested in Oriental music, but they are struggling to find their way. The good thing about the Abdou El Omari album is that the sound is very acceptable for a Western audience and can build a bridge to introduce Oriental music. 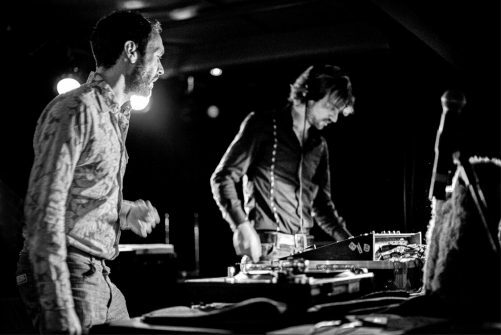 The album has something for everybody: sampling material, psychedelia and funk influences. The album is the first release in a three-part series, with other Abdou El Omari material from the Disques Gam vaults due for release early next year. What can you tell us about the music on albums two and three? Has it ever been heard by people outside of Casablanca and the Disques Gam organisation? The first LP was a commercial letdown for Disques Gam. The music was just too progressive at that time. So, the other two parts were only released on cassette and on a limited number of copies. Most people (including us) were never aware of the existence of part 2 and 3. Part 2 has two instrumental tracks and four tracks sung by Naima Samih. It includes alternative takes of Zifaf Filfada, Khallani Ghriba and Rmani Rih, which some people might know from the Naima Samih 45’s. Part 3 is an instrumental album, which has more funk influences. In our opinion, part 2 and 3 are even better than part 1! There isn’t a lot known about Abdou El Omari, other than that he was considered quite a pioneer in Casablanca. Have you discovered more about him as you have worked on this project? At this moment, we don’t know a lot about Abdou El Omari. We’re still trying to find more information about him. He was born in Tafraout, Morocco in 1945, and passed away on March 3, 2010 in Casablanca. He was a bachelor and hairdresser, who lived all his life with his mother. He mainly performed as a solo artist in hotels in Casablanca with his organ. He also composed for artists like Naima Samih, Fatima Mekdadi, Leila Gofraan and Aicha Waadou. There’s an abundance of fantastic music on the Disques Gam label; how did you establish contact with them and do you have plans to re-issue any more material from their collection? Getting in touch with Disques Gam wasn’t very difficult, as Mr Gam still has his shop on the Boulevard de Paris in Casablanca. When we went to his shop to buy records, Mr Gam offered us a licensing deal for the three Abdou El Omari LPs and the Golden Hands LP. We decided to do the Abdou El Omari trilogy and our distributor NEWS will work on a Golden Hands reissue. At this moment, we don’t have any other reissue plans concerning the Disques Gam catalogue. You work with See Why Audio, the same restoration specialists behind Luaka Bop’s wildly successful William Onyeabor releases and create the vinyl with Timmion and MPO, to ensure the music sounds exceptional. What was the process behind restoring Nuits D’Été? Did you have access to the forty year old master tapes and if so what condition were they in? In most cases, master tapes get lost or the quality isn’t good enough any more. So, the most efficient way is often to use a clean original copy of a recording. When we made the licensing deal with Gam, we also bought the three test pressings of the trilogy. These were the only existing test pressings of these three records. Colin from See Why Audio recorded these test pressings and did the audio restoration. Timmion did the cutting and MPO pressed the records. Reissue albums often have a bad sound quality or the sound is boosted up too much, so the original dynamic gets lost. It’s essential for us to keep the original dynamic of a record. On the other hand, we’re not sound purists. 40 years ago, a sound engineer might have drank too much the evening before he did a certain recording and made some mistakes. It’s definitely OK to compensate his hang over, by adding some bass for instance. Both See Why Audio and Timmion try to deliver the best sound quality with respect to the original recording. It’s not easy to find people who have ‘the ear’ and the technical skills to make records that sound as good as the original or even better. Therefore, we’re very thankful to work with See Why and Timmion. They always deliver work beyond expectations. If you would compare the sound of the original Abdou El Omari LP and our reissue, you’ll hear that the reissue sounds much better than the original. Nuits D’Ete is your fourth release, following three incredible 7″ singles of Greek, Belgian and Peruvian music. What are the biggest challenges you face in re-issuing rare material from around the world? Fookin licensing!!!! We have enough exceptional records for hundreds of amazing reissues, but the licensing process takes so much time. For example: for one licensing deal we have been mailing and calling for 2 years. How did Radio Martiko begin, what brought you together and what were the early goals for the project? We’ve all been collecting and DJ’ing for years. About 5 years ago, we started Radio Martiko as a DJ collective. At that time, we had the reissue thing in mind already. About three years ago, we actually wanted to start the label. We had the idea to do an oriental rock’n’roll compilation with 20 artists from different countries and different labels. After a year and a half, we had licensed 2 of the 20 songs : Habibi twist and Alba’s shake. We considered ourselves as absolute losers, but then people with experience in the record business started to congratulate us because we actually licensed two songs. It made us realise that our initial idea of the oriental rock’n’roll album was just far too ambitious. You’re based in Ghent, Belgium which is home to bands like STUFF. who we’re big fans of! What else is happening musically in the city that we should know about? Elefant – unique sound and very solid live reputation. Black Flower – Jazz, Ethio, dub fusion. [sic] – Nobody seems to care about this band, but they’re really good! As we speak, you’re playing in Japan for the first time. What have been the most interesting places you have taken the music so far? We really enjoyed Fusion festival and Roskilde Festival. Last year, we had our first gig in the UK, at the Voodoo Ball in Liverpool. From time to time we play at the Cumberlandsche Galerie and Bronco’s Bar in Hannover, with Peter Piper which some of you might know from his website Funk Fidelity. Closer to home, we had great nights at the Soul Inn, a bar owned by Funky Bompa and DJ Reedoo in Brussels. Unfortunately, the place was closed this summer. Finally, what are your plans for 2017? First, we will release the two remaining parts of the Abdou El Omari trilogy. We also signed a deal to release one single and two double LPs of late 60’s, Greek tsifteteli, dimotica and laika. This music is totally unknown to most people, but we can promise you that the tracks on these compilations are mind blowing. In the meantime, we’re working on several other projects, but unfortunately we can’t share this with you until we signed the deals. Keep up to date with Radio Martiko’s work here.